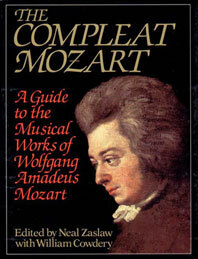 The Compleat Mozart - Description | W. W. Norton & Company Ltd.
A Guide to the musical works of Wolfgang Amadeus Mozart. Published to coincide with the 200th anniversary of Mozart's death in 1791, this book is designed to be a guide to the composer's works and is aimed at the music-lover who wishes to read something informative about any particular piece. Although there are many books which deal with the handful of famous operas, symphonies, concertos, or string quartets upon which Mozart's reputation rests, this collection contains in a single volume details about any work composed by Mozart and where, when and why he wrote it, what it is like, and what special significance it may have.